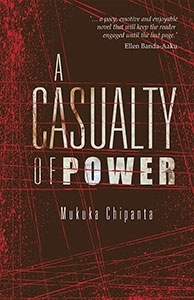 Zambian-born writer Mukuka Chipanta’s 2016 book “A Casualty of Power” is the exception. Mukaka, who is also an aerospace engineer in the United States, tells the story of a young Zambian college student, Hamoonga Moya, who was falsely imprisoned and then upon his release goes to work in a Chinese copper mine. Mukuka Chipanta is an Aerospace Engineer and Program Manager currently residing in the Washington DC metro area with his lovely wife Sandra. Born in Zambia, he spent his formative years in the mineral-rich Copperbelt Province near the border with the Democratic Republic of Congo. Mukuka has several degrees in Engineering and Business from the United Kingdom and the USA. One of his proudest professional achievements is having played an integral role in designing the Boeing 787 Dreamliner airplane. He has traveled widely across North America, Europe, Africa, and Asia and considers himself a global citizen with a heart firmly rooted in Zambia. His passion for telling stories originates from many nights as a boy spent listening to the colorful tales told by members of his expansive family. He is currently working on a number of new writing projects which he hopes you will be able to read in the not-too-distant future. 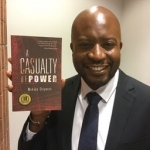 A Casualty of Power is his first published novel. Previous [AUDIO] African Governments Need to Negotiate Better Deals With China. Here’s How They Can Do It.